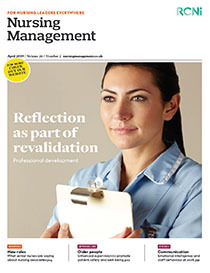 Aim This article provides an insight into the effect of safeguarding of vulnerable adults continuing professional development (SOVA-CPD) training for nurses. Method 51 participants were recruited from three different cohorts of SOVA-CPD training that had been delivered in east England. A 50-item questionnaire was designed to gather participants’ views on their acquisition of knowledge and skills, and perceived changes in practice, and to allow them to describe how they have changed how they work due to the training. Results Participants agreed overwhelmingly that the SOVA-CPD had enhanced their competency and skills so that their patients’ care could improve. However, despite the benefits that some participants described, the potential positive effects of SOVA-CPD were curtailed by the challenges participants experienced in making changes in their practice settings. Conclusion The study highlights several benefits of SOVA-CPD for nurses, including the benefits to patient care of a CPD learning environment for practitioners. It suggests that employers should provide environments in which staff who have undertaken SOVA-CPD can trigger and sustain changes to improve patient care.